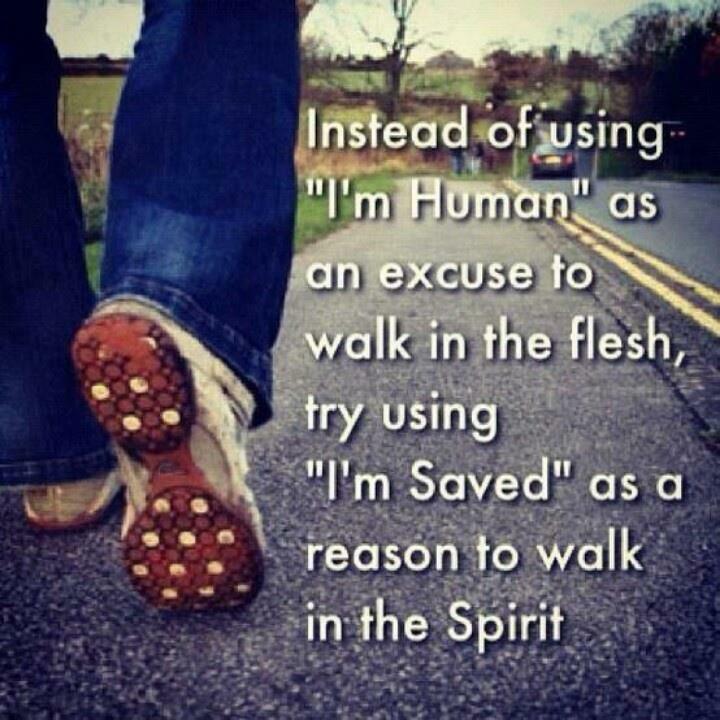 "Instead of using "I'm Human" as an excuse to walk in the flesh, try using "I'm Saved" as a reason to walk in the Spirit!" Boom! Can I get an AMEN!? 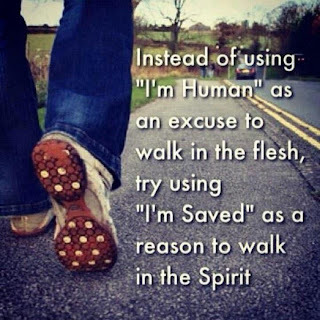 Are you going to join me in rising to the challenge of striving to walk in the Spirit and no longer allowing our humanity to be an excuse for not doing so? Let's pray for each other! You can do it with the help of God's Holy Spirit!...one step at a time brothers and sisters...one step at a time! Just keep walking! !